Bread week on Great British Bake Off and woah did the contestants go to town with some of their bakes. There were some incredible bread sculptures that I can’t imagine ever baking myself. 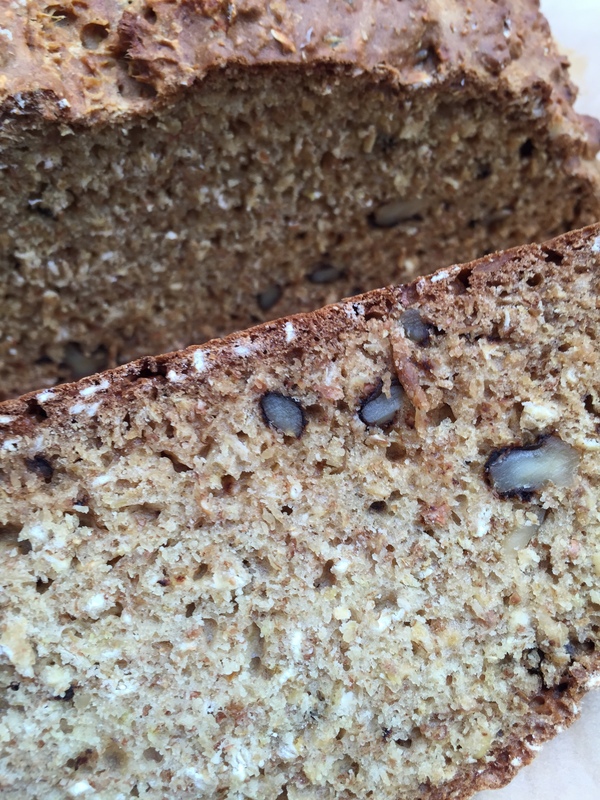 When it came to joining in with the #GBBOBloggers2015 I had to opt for a quick bread because, well, it would be quick, and I knew it wouldn’t go to waste. I love a quick bread too because the whole over/under proved and over/under baked aspect of bread terrifies me. I have no feel for it so quick breads and me are a perfect match. 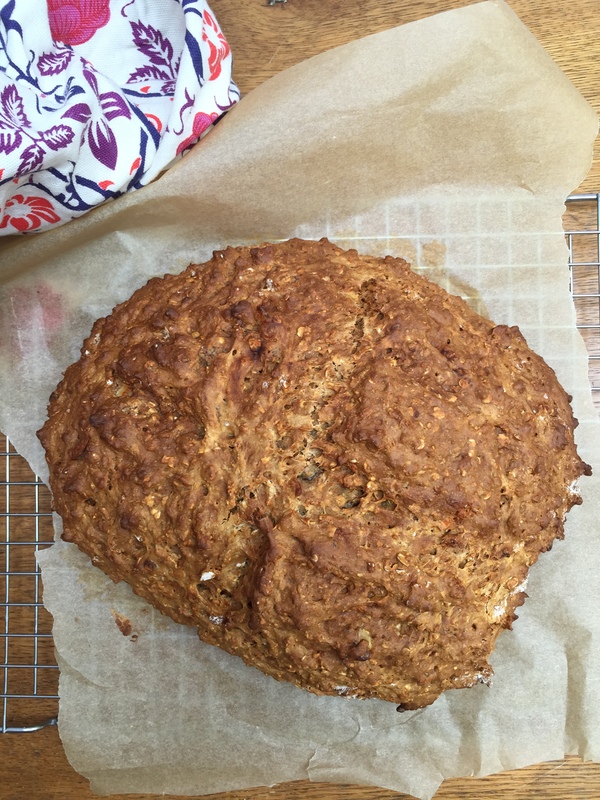 I have a recipe for a quick yeast-free bread that I got from Seasons restaurant in London – they make the most amazing oaty soda bread. The original recipe has treacle in it but I thought I’d try and make a more savoury variation so I left out the treacle and added walnuts. 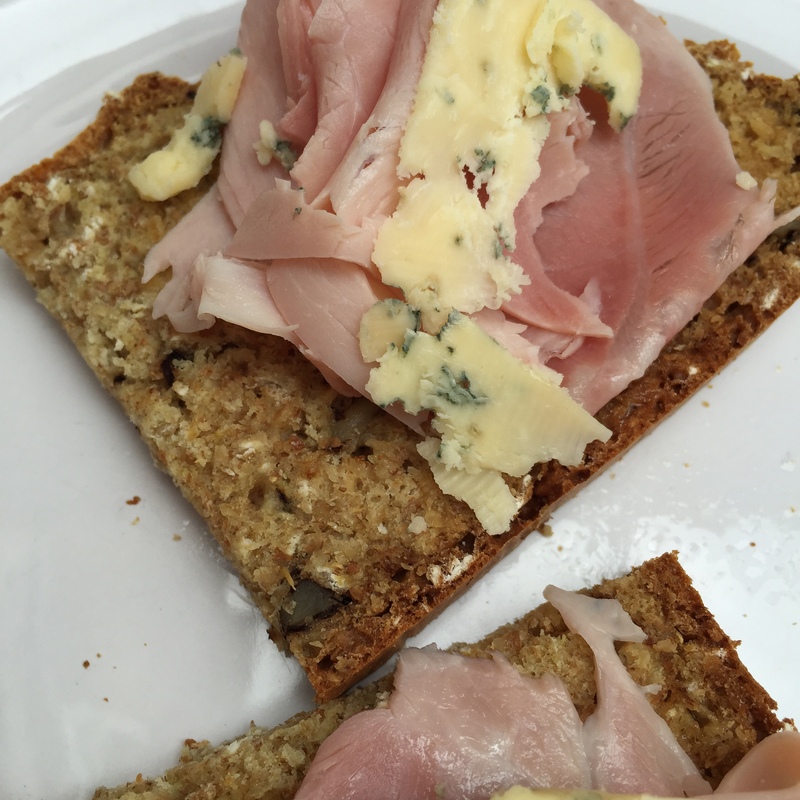 Yum, and even yummier with Stilton and ham for a quick lunch. 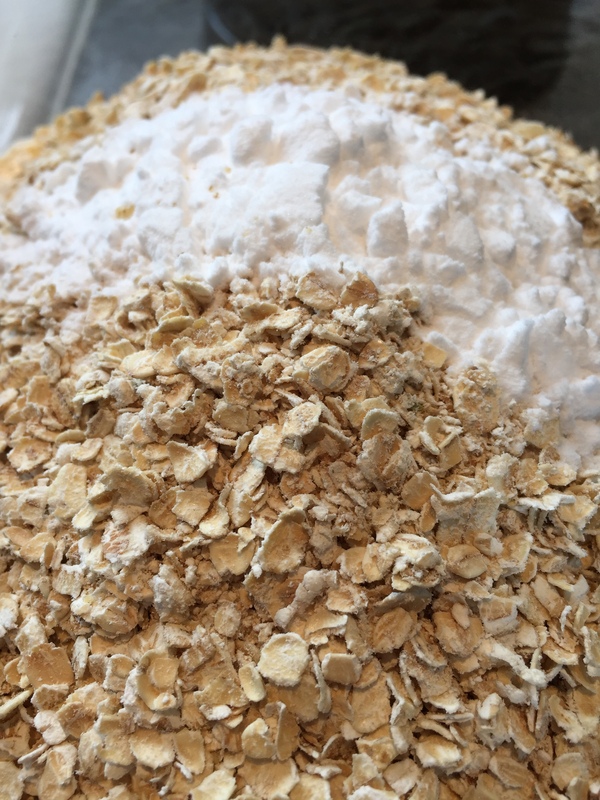 Mix all the dry ingredients together, add the wet ingredients and stir until just combined. 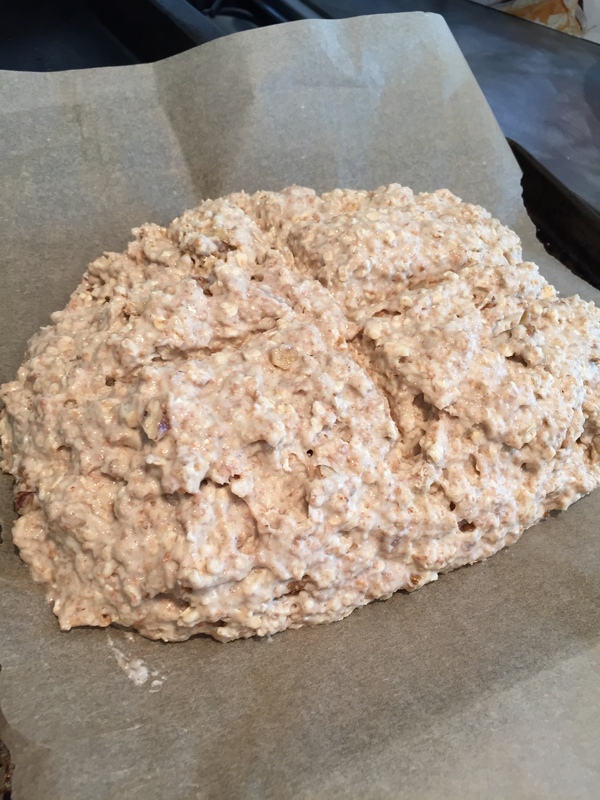 Tip the rather wet mix onto a baking tray lined with baking paper and roughly shape into a loaf. Bake in a 200C fan-forced for 40-50 minutes. mmmmmm this looks lovely and i love those last combined with walnuts and honey! I can see why it would go well with cheese! 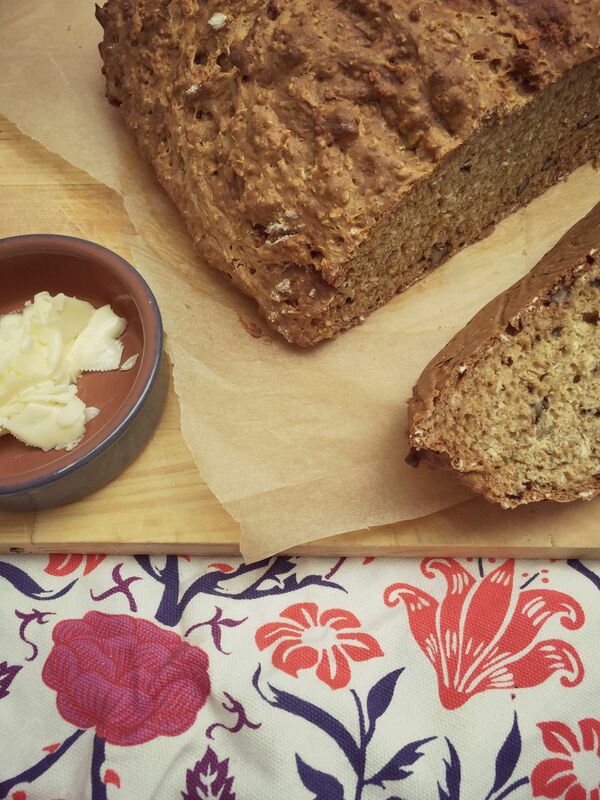 I love the flavours you’ve used in your bread, simply delicious!